Police are reportedly using a new tool to gather evidence in their criminal investigations: Fitbit fitness trackers. Recently, they used data provided by this device to arrest a man for allegedly killing his stepdaughter. According to reports, the arrest was made based on data from the victim’s Fitbit, which showed that her heart rate spiked significantly, and then stopped, while he was visiting her and before he left her home. Originally marketed as a motivation device to manage one’s fitness and health, these devices are now working – alongside other technology such as cell phones and GPS devices – to aid law enforcement in gathering evidence to solve and prosecute crimes. They not only document perilous encounters, where their owners express significant physiological symptoms of fear or death, but also the everyday mundane, such as sleeping patterns and any physical exertion whatsoever. This isn’t the first time this type of data has been used: Fitbit in particular has previously been used in connection with sexual assault, personal injury, and murder cases. Often, the data is used in conjunction with video surveillance, GPS technology – even more novel devices some are unaware of, such as Amazon Echo and Google Dashboard – along with traditional techniques, such blood and DNA evidence. The Fitbit tracker works by what’s called a pedometer, which tracks how many steps someone takes within a 24-hour period. In this incident, police also reportedly obtained video surveillance from the victim’s home, which showed that the suspect’s car was parked at her house at the same time the Fitbit recorded her heart rate coming to a halt. Still, while this places the defendant at the home, it arguably does not rule out the possibility that someone else was also in that home, and could have harmed the victim before the defendant left. Fitbit has also reportedly been used to clear certain defendants by recording their activities during the window of time that a crime was committed. In one case, this evidence overcame evidence that caused police to feel that they had their number one suspect; evidence that included finding blood in his garage, as well as a pair of shows that appeared to match the show prints found on the victim’s back. 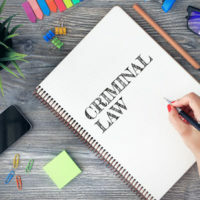 If you are facing a criminal charge that is the product of your privacy rights being violated, or is entirely based on circumstantial evidence, contact our experienced criminal defense attorneys at the office of Phillip J. Murphy today to find out how we can help.